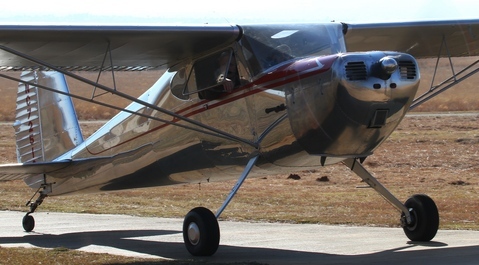 The Johannesburg Light Plane Club is the oldest continually active flying club in the world and has been in continuous operation since 1926. 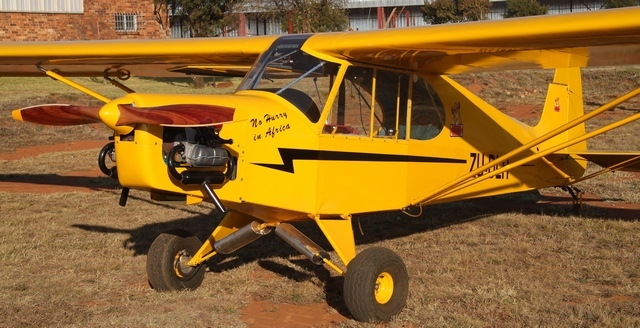 The club is based at Baragwanath Airfield, south west of Johannesburg where flying continues in the tradition of the old Baragwanath Airfield (1919-1981) where enthusiasm, common sense and safety-conscious fun prevail. Despite advertised as a Cub and derivative fly in all types were welcome. Fun and activities were planned for the whole family and provision were even made for those who wished to camp at the field. Two J3 Cubs, three Super Cubs and three proudly South African Cubbies attended, the most of the type and derivatives at one venue since Taildraggers at Nylstroom in 2011. Unfortunately the cold front that has made life miserable in the Cape for the last week had moved up to Gauteng and a strong wind did not make for ideal flying conditions. None the less close to twenty aircraft, including some from the club, braved the conditions. The boys from St Stithians College Aviation Club took care of the marshalling and did an excellent job. The flower bombing, spot landing and ribbon cutting had to be cancelled but all that attended agreed that they will be back. Many thanks to the hospitable folks at Bara for a wonderful morning and well organised event.